A California-based company planning to build a hotel along the 16th Street Mall now wants to construct another one two blocks away. 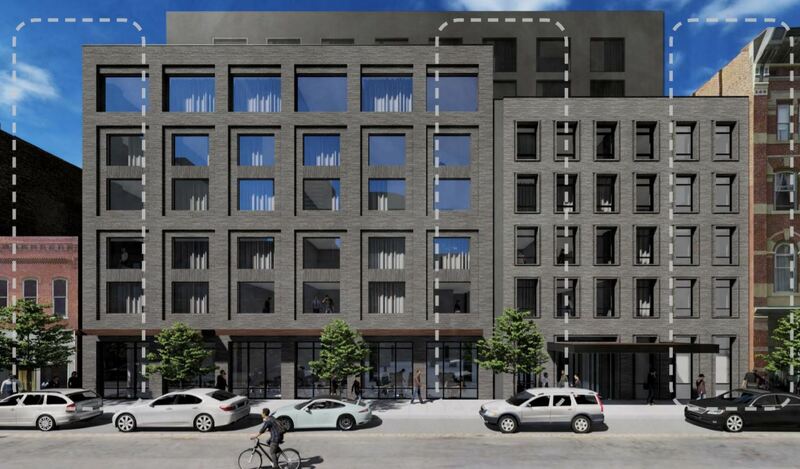 T2 Hospitality — whose previously announced project at 16th and Market streets is slated to be 11 stories tall — wants to build an eight-story hotel at 1637 and 1655 Blake St., according to a development proposal recently submitted to the Lower Downtown Design Review Board. The hotel would have 177 rooms. The board is set to review the proposal at its meeting this Thursday. The plans, drawn up by Shears Adkins Rockmore, indicate a basement level would contain the hotel’s fitness center, as well as back-of-the-house operations such as linen storage and an employee lounge. The first floor would include 1,625 square feet of restaurant space along Blake Street, as well as the lobby and about 1,500 square feet of meeting space. The hotel rooms would be on floors two through eight. Those floors would wrap around a small interior courtyard, in an effort to bring in natural light. The upper floors would be set back, making the building appear to be five or six stories from the street. The hotel would not have any on-site parking, but the plans indicate that some off-site spaces would be leased. T2 Hospitality, which did not respond to a request for comment, appears to own just one of the two parcels it wants to build on. 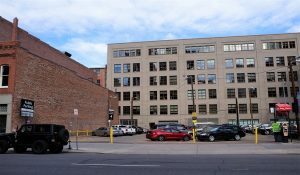 The company, acting as Blake & 17th Denver LLC, purchased the 0.22-acre lot at 1637 Blake St. last year for $3.55 million, or $378 a square foot. The adjacent 0.14-acre lot at 1655 Blake St., meanwhile, is owned by Romberg and Sigman LLC, with an office address that corresponds to a home in Evergreen. Romberg and Sigman family members purchased the lot in March 2003 for $715,000, according to records. Both parcels are currently parking lots. Structures that previously were on the lots were demolished between the 1960s and 1970s, according to the plans. T2 Hospitality paid $10 million in 2015 for 0.36 acres at the corner of 16th and Market streets, and has proposed an 11-story hotel there. That project has yet to break ground, although the city has received applications for construction permits. That hotel will be known as Thompson Denver, according to T2’s website. It will be part of the Thompson Hotels chain, which has nine locations, including five in the United States. Correction: This story originally misstated the date that the Lower Downtown Design Review Board will review the proposal. 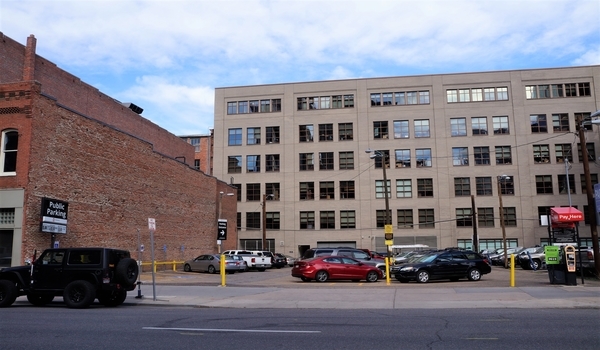 1 Comment on "California company looks to build eight-story hotel on LoDo parking lot"
What? Again no on site parking ? What are they thinking?